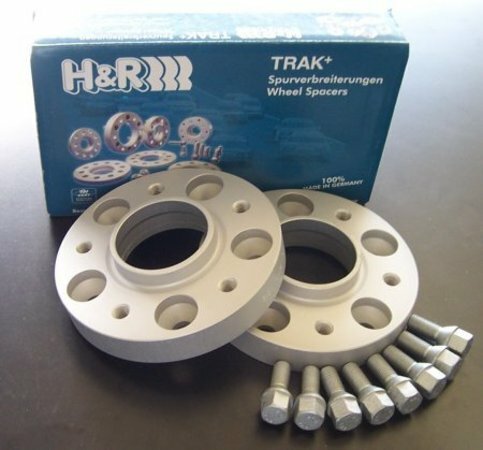 H&R 12mm (.5 inch) hub-centric wheel spacers for 1999-2006 BMW X5. These spacers fit between the wheel and the hub and push the wheel further out by 12mm. Longer wheel bolts included in this package. Sold as a pair of spacers with ten silver wheel bolts.